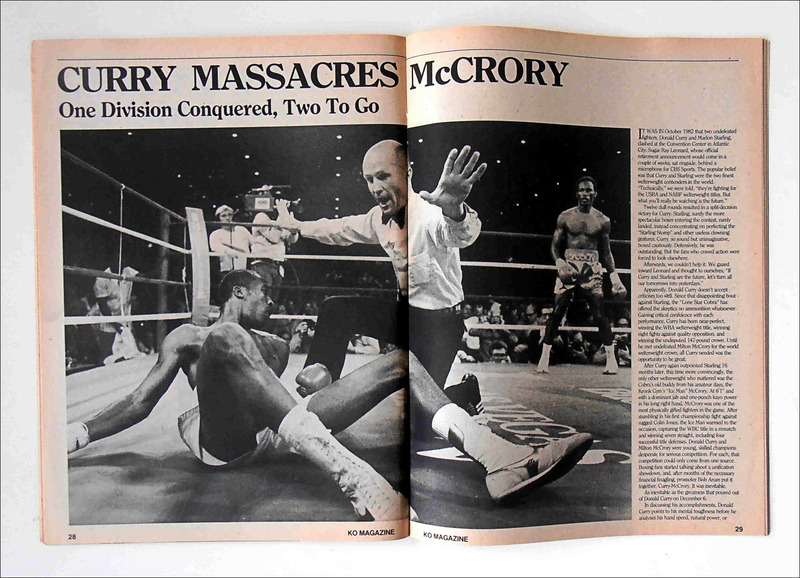 Description : My all time favorite boxing magazine! I used to wait every month with baited breath & itchy feet for my monthly fix to hit the UK & land in my newsagents dropbox. 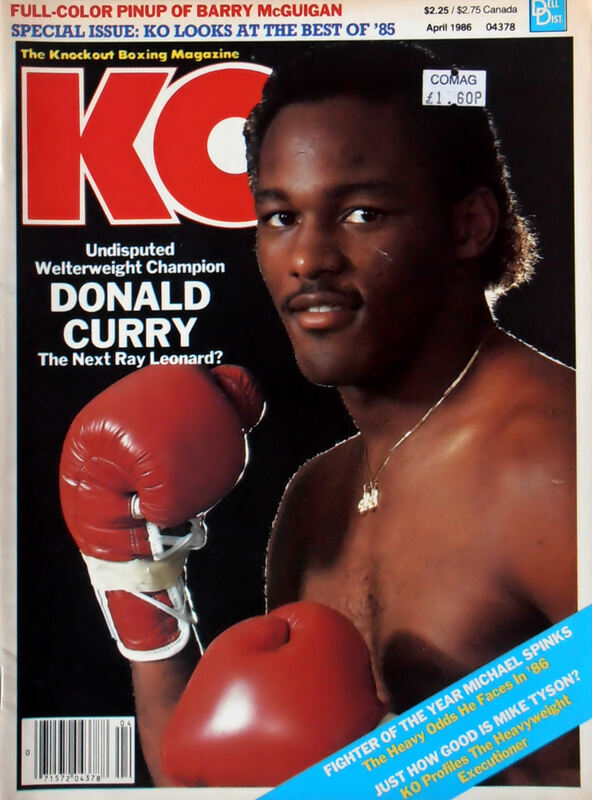 Here we have the KO Magazine April 86 issue with Don Curry on the cover in celebration of his wipeout of Milton McCrory to become the undisputed welterweight king. Also KO profiles a young Mike Tyson. 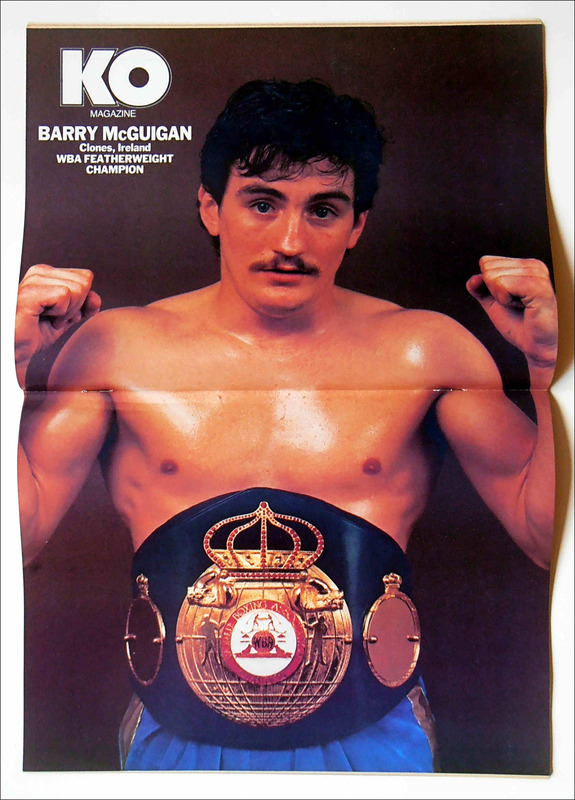 This months issue had a great pin up centre fold of WBA featherweight champion Barry McGuigan. Postage: £5.00 1st class recorded delivery... £20.00 International signed 4.